Modern catastrophe models can generate probabilistic loss estimates to the nearest cent, but unquantifiable factors can have a huge impact on actual losses paid by insurance companies. As most cat bonds are now triggered by the actual losses paid by insurance companies, it is more important than ever to understand the unmodelled factors that drive claims payments. Robert Medeiros from Lighthouse Consulting highlights some of the issues that can cause a gap between models and reality. The strangest meeting in my career occurred in mid-2006. Our actuaries made a presentation to our company’s CEO and senior property underwriters, including myself. The actuaries presented our actual losses from the 2004-2005 storms against our modelled results. When compared side by side, the results had one thing in common; the actual losses never matched the modelled losses. The underwriters had expected as much but our CEO bellowed, “Why are we paying so much for a model that isn’t accurate?” I was surprised that he was surprised. It had never occurred to me that someone might actually believe the model. We scrambled to offer the boss a variety of reasons for these “model misses”. Ultimately the answer was, simply, that stuff happens that can’t be modelled. Fast forward to 2014 - the capital market's belief in modeling is similar to that of my CEO’s prior to that meeting. Indeed, the capital markets may hold a deeper seated belief in modeling because their industry has a long history with economic models. The truth is that the shift to indemnity triggers from parametric triggers significantly increases the insurance risk to the investors. One might say yes, but hasn’t modelling come a long way since 2005, and so is more accurate now? Well, it has and it hasn't. Certainly the experience from past events is embedded in the current models but the truth is that the models remain largely untested. Doesn’t the market price reflect the additional insurance risk? Probably not, because the truth is that margins on parametric and indemnity based triggers are about the same. The recent trend in the market has been a rapid move toward more indemnity-based triggers for cat bonds. 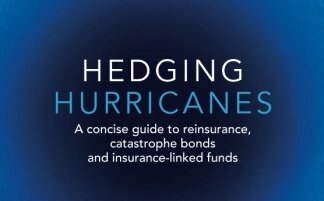 Cedants prefer a structure that can be more closely aligned with the traditional reinsurance layers in their cat program and minimises basis risk. In this series we will explore three unquantifiable insurance risks that contribute to model miss. They are; claims handling, policy coverage, and un-modeled loss. We will look at the belief of each as embedded in the model, and the truth that “stuff happens”. Our focus will be on the Florida homeowner’s market because of the plethora of deals there, but we will venture into the commercial market as well. Have you ever filed a claim with an insurance company? Was the experience like buying a book on Amazon, with one-click checkout? Probably not. The claim process is a very high-touch process. There are field adjusters who look at the damage, staff adjusters who check the work of the field adjusters, examiners who check the work of the staff adjusters, and so on. Then multiply that process by the thousands of claims received in a hurricane and you begin to see how claims handling can impact paid losses. Most of the claims data in today’s models has come from the 2004-2005 years, when a series of hurricanes hit the southeast United States. So what assumptions about claims handling from those years are embedded in the model, and what is the reality today? Assumption: National insurers with large, sophisticated claims staff will continue to absorb most of the losses from a Florida hurricane. Assumption: Allocated loss adjustment expenses, or the cost of claims handling, should be about the same today as before, adjusted for inflation. Reality: Independent adjusters are contractors and get paid fees for handling claims. Fees are usually a per-claim, flat dollar amount that go up as the size of the claim goes up. 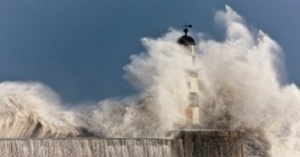 Independent adjusters like volume and can work for several insurers following a major storm. They have a personal economic incentive to handle a lot of claims. On the other hand, national insurers use their own staff, who are paid their normal salary, generally plus overtime for cat duty. The independent adjuster model will likely result in higher loss adjustment expenses in the next cat. Assumption: A hurricane hitting Florida today should be shared between public and private markets in about the same proportion as it was in 2004-05. Reality: Florida Citizens' policy count increased dramatically as private market capacity dried up after 2005. In the past few years they have successfully reduced their policy count, but they still have over 900,000 policies in force. Why does this matter? Because Citizens' generally pays independent adjusters more than private insurers, resulting in higher loss expenses for Citizens. This also has a knock-on effect of siphoning fee-driven adjusters from the private markets, which could lead to delays in investigation. Delays in claims handling are expensive. In short, the claims experience and expense advantage held by national insurers will be largely unavailable in the next Florida hurricane. That will impact the dollar amount of the claim as well as the cost of handling the claim. The next hurricane will tell us how much.